Looking at one of these now. Some good ideas here, because the car needs "something" just can't figure out what. Last edited by LStick; 09-06-2014 at 11:03 PM. Here is my wifes 2ssrs. It has tinted windows, gills and the chromed spring edition wheels. I think it looks better than the ones with black wheels. Definitely not a guys car though. Mine also there. I saw one at a dealership a few weeks back and this color is amazing. I would seriously consider if I were in the market. Was this color only offered in 2014? When you build a '15 this color is not an option. we bought ours in june, it has dark gray stripes looks great. 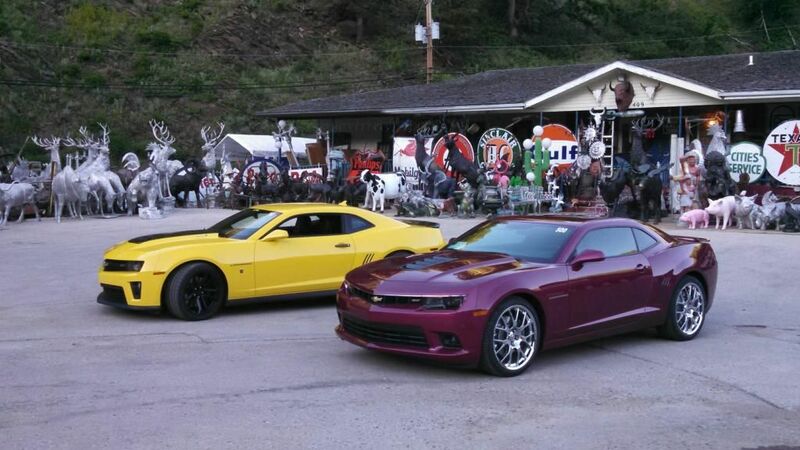 looking for 2014 ss1 convertible deep magenta metallic has anybody seen one?? I wish more people would post pics with this color. Stopped to eat after work night before last, and as I was leaving the restaurant, I saw THREE magenta Camaros parked across from mine. I had to check closer to make sure it wasn't the reddish color. Sure enough, all three magenta. I snapped a quick pic, and when I walked back to my car, they had left a note. 3 girls trying to start an all magenta camaro club. Sweet! Even though I'm a dude, I told 'em I'd come to the next "meet" and introduce myself. Any other magentas in the San Antonio area? Ugh, and my poor car was dirty as hell too. Embarrassing! Well, I thought I'd start one since I couldn't find one for our colors. I doubt it'll be a large thread, seeing as the color is limited and, judging by a lot of posts on here, not too popular, but ah well. Here's mine, from the day I picked her up at the dealership until today, fresh from Big Worms Graphics and Spunky Joe's Tint Shop! I like the color. I think the dark grey/black really makes the color pop. It does look great in person. does anyone have a convertible in this color that can post picture?